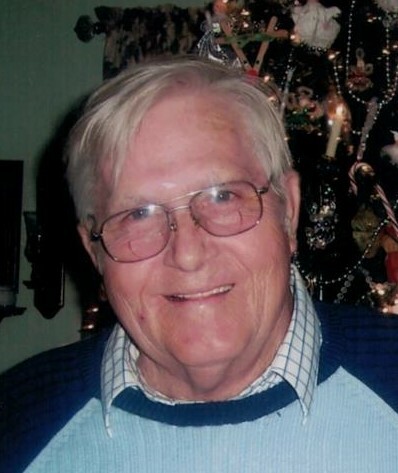 Franklin “Dock” Lunsford, age 78, passed away peacefully at home with his family. Born Bernice, Kentucky, in the Manchester area and served in the National Guard Armor training in 1959. Beloved husband of Euline (Truett) Lunsford, loving father of Ruth E. (Larry) Cowgill, James R. Lunsford, Debbie A. Lunsford, Franklin R. (Laura) Lunsford and adopted son, Doug Yeary. Grandfather of Anna Belle Malone, Ruthlene Russell, Ashley Brock, Lindsey Lunsford, Nathan Keets, James Rexford, Jr., Josh Richard, Benjamin, Matthew “Lucas”, Christopher, Jackson, Hannah Mae and Alice and great grandchildren, Michael, Savannah, Charliegh, Rosie, Jonathan, Chrystopher, David, Blake, Joseph, Bailey and Cason. Also survived by Brothers and sisters, Cisco (Carol) Lunsford, Alonzo Lunsford, Eula Mae (James) Kash, Susan Lunsford, Thelma Garland, Abe (Beverly) Davidson, Billy (Martha) Lunsford, Wilma Truett, Roy Truett and Lonnie Truett. Preceded in death by his parents, Isaac and Maggie Davidson Lunsford, his step father, Irvin Davidson, his aunts who helped raise him, Thelma Payne and Saddie Davidson, Brothers, Roscoe Lunsford, Estill Lunsford and Walter Davidson, a sister in-law, Phylis Lunsford and a brother in-law, Hobert Lunsford and mother in-law, MaeBelle Carr and father in-law, Jesse Jack Truett. A visitation will take place at the Somerville Pentecostal Church, 273 Mound Street, Somerville, Ohio 45064 on Monday, April 22, 2019 from 6-8 PM and funeral service will be held at the Somerville Pentecostal Church on Tuesday, 23, 2019 at 11 AM. Interment to follow at Springhill Cemetery in Liberty Township. There's still time to send flowers to the Visitation at the Somerville Pentecostal Church from 6:00 PM to 8:00 PM on April 22, 2019.